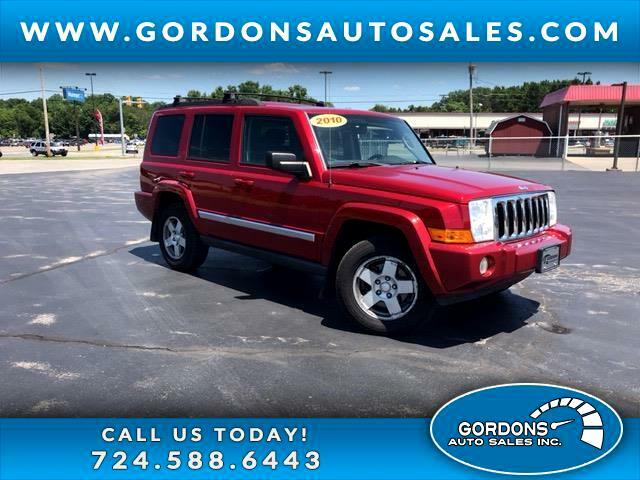 3RD ROW SEATING ---4x4--- A seven-passenger SUV, the 2010 Jeep Commander is the largest vehicle in the Jeep lineup but just as rugged as the rest. The engine is a 210 hp 3.7L V6 and comes standard with a five-speed automatic transmission. The Commander is the best of both worlds. Luxury sedan comforts with rugged off road capability.